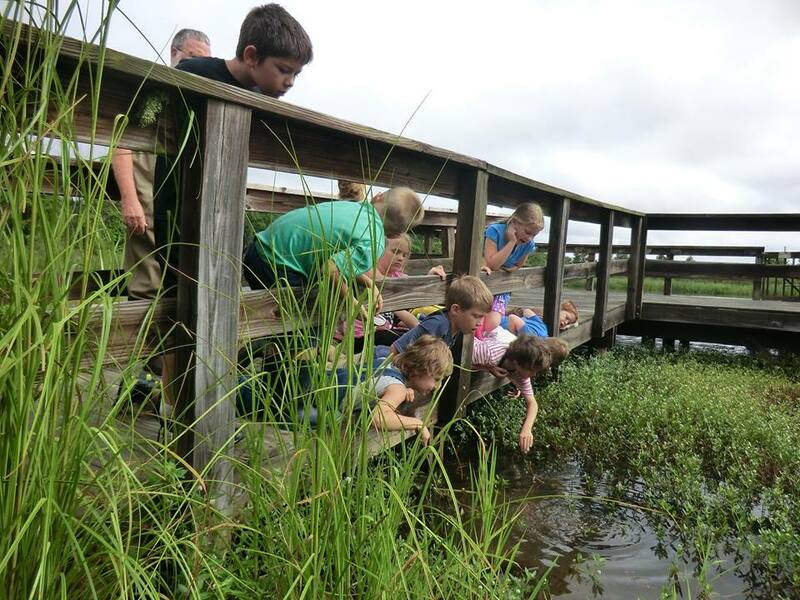 Since 1998, Phinizy Center’s Education Department has conducted hands-on environmental science field trips for K-12 and undergraduate students. On these inquiry-based field trips, students explore scientific concepts through interactive investigations of watersheds, wetland habitats, urban water cycles, and stream ecology. This creative approach to science education meets Georgia and South Carolina academic standards in Biology, Chemistry, Physical Science, Ecology, Environmental Science, Mathematics, Geology, Earth Science, Geography, and Economics. Phinizy Center now also offers Phinizy Fiesta Field Trips for Pre-K through 1st grade! These field trips meet curriculum standards and are available for booking on Mondays, Tuesdays and Wednesdays. Field trip program details can be found in our Current Education Program Guide. For more information or to book a field trip, call 706-796-7707 or email education@phinizycenter.org. Rubrics are a scoring scale that provides evaluation and assessment for both students and teachers. Each program rubric is based on a 4-point scale, with 4 being the highest level of content mastery and 1 being a minimal mastering of the content. For the purpose of our evaluation, these rubrics were written holistically, so that teachers could give us a general assessment of their students’ content mastery before and after the field trip. For classroom use, teachers can break the holistic rubrics down by separating the components of each level into separate rubrics. Feel free to share these with your students so they know what we think they should learn on the field trip!